Post news Report RSS	New Patch - Overwhaleming is now LIVE! 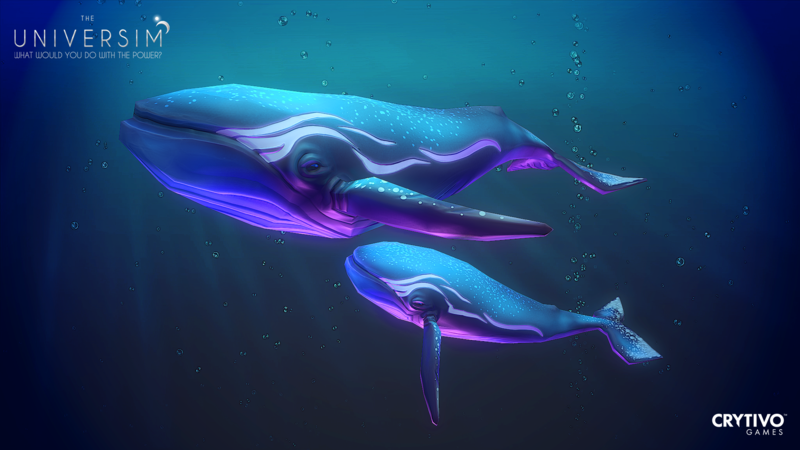 New New Patch - Overwhaleming is now LIVE! Wildlife, Naked Nuggets, Nugget Traits and more! What a crazy life we lead! Just this past week (more or less), our team attended Gamesom in Cologne, Germany for the very first time. It was an incredible show, packed to the rafters with thousands of attendees - and better yet, plenty of our fans. The feedback was overwhelmingly positive, and we were so pleased to see everyone grinning madly in front of their monitors. We can only imagine what terrible things some of them were doing to those poor Nuggets. Nevertheless, it was quite a sight to see so many gamers standing in line to give The Universim a try. So many, in fact, that we were forced to reduced the demo time from 45 to 25 minutes just to allow more people to play. This was a little sad, as 25 minutes is definitely not enough time to fully grasp what The Universim has to offer. Twelve of our fantastic team members garrisoned the booth, signing t-shirts and posters for all of you who stopped by to give us hugs and high fives. Thank you again for stopping by! It was an absolute pleasure meeting you all. Overall, Gamescom was a smashing success. We were able to collect a lot of feedback by directly engaging with attendees and observing their respective playstyles. We brought some great notes home that will help us iron out some of the flaws in the design. We’re all about making the best experience possible, and we plan to stick to that philosophy. With your continued support, more and more exciting new features will be implemented that are sure to tickle your fancy. This month’s patch is going to be a little smaller than usual, mostly because a significant portion of our team was out conquering Gamescom. However, we were still able to implement a few new features, do the usual bit of bug squashing, and increase performance yet again. This system will allow us to breathe a little more life into the Nuggets.They will finally have their own unique character traits. 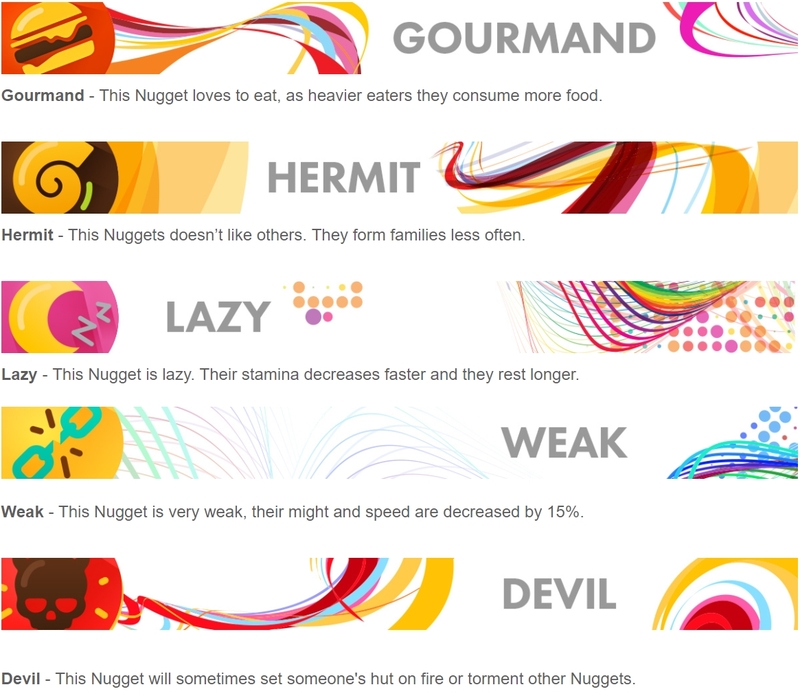 Some Nuggets might be a little slower and lazier, and others might be motivated and hardworking. We decided to take this system one step further and implement the idea of lineage and inheritance. 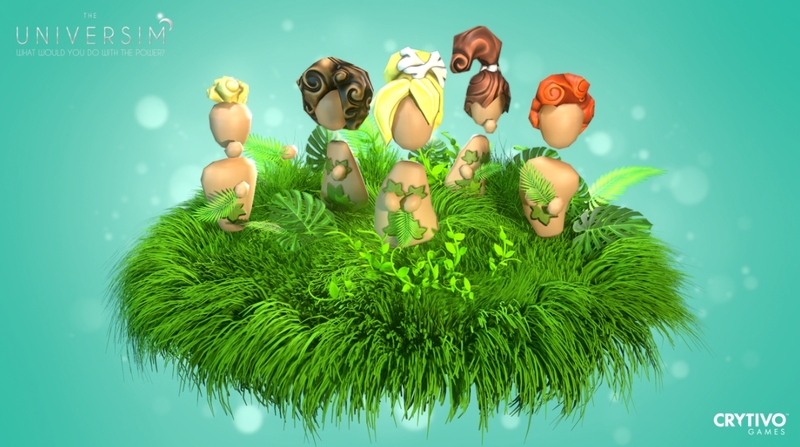 Now, the parents’ traits can be passed on to their children with a certain chance to inherit characteristics from either parent. For example, if both parents have the laziness trait, there’s a pretty good chance that their children will develop this trait as well. The good news is, you can perform a little “natural selection”, by sending Nuggets with negative traits to explore the cosmos without a spacesuit. 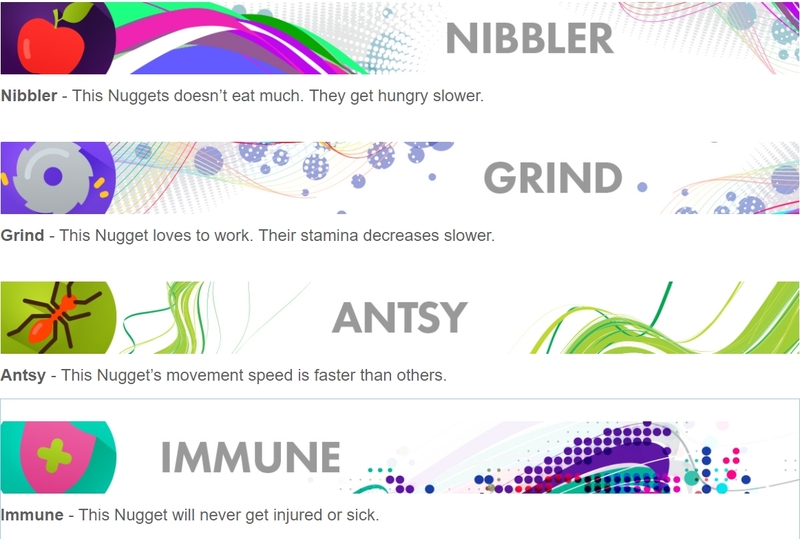 Although, you can also use schools to alter Nugget traits. This is just the initial implementation of the system, so we definitely want to hear your thoughts on it. 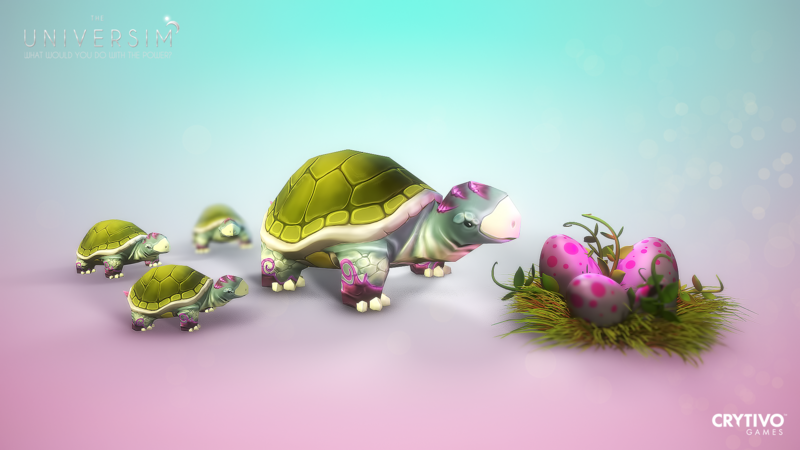 You will also probably notice that we have started to implement animal wildlife again. They’ve gone through their much-needed round of rehabilitation. Some of the truly magnificent ones made it into this patch. 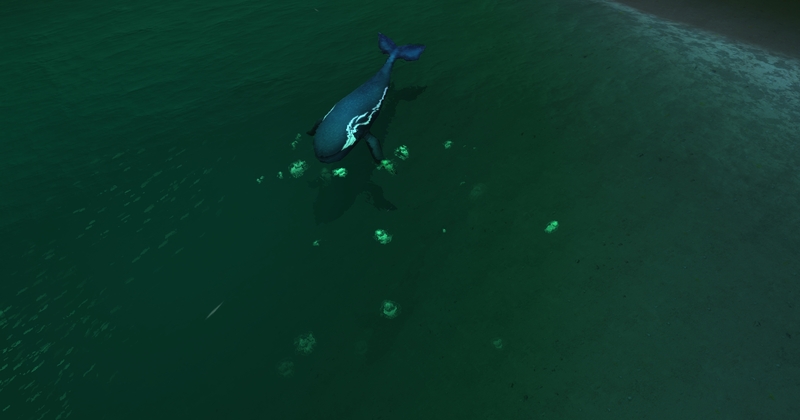 Whales, fish, jellyfish (that glow at night), and turtles have been added to the game. Soon, Nuggets will be able to hunt them down or maybe even try and domesticate a few of them. Who wouldn’t want a whale as a pet? Would they get along with the mammoths? We’re adding naked Nuggets. Alright, stop giggling, it’s perfectly natural. When Nuggets initially begin discovering all of the wonders of the world around them, they will do so in their bathing suits. It’s enormously comfortably and rather freeing, but winters do pose a threat to bare bottoms and overall health. Please don’t be too curious - Nuggets need some privacy, too. If you look too closely, you’ll likely come across armpit hair, and that’s some nasty stuff in a world that is yet to discover soap. We are also rolling out the Creator Mode. This is somewhat experimental and unbalanced. This mode will have all of the buildings unlocked from the beginning, and you’ll have infinite control of Creator Powers and abilities. Our intention is to make it a fun sandbox experience where you’ll be able to test new things without having to spend too much time trying to get to them via traditional methods. All perks are available for draw regardless of their tier. All perks have a reduced time to research. Building upgrades are available from start (buildings are built on level 0, and after a building is upgraded, new buildings of that type will be of the new level).